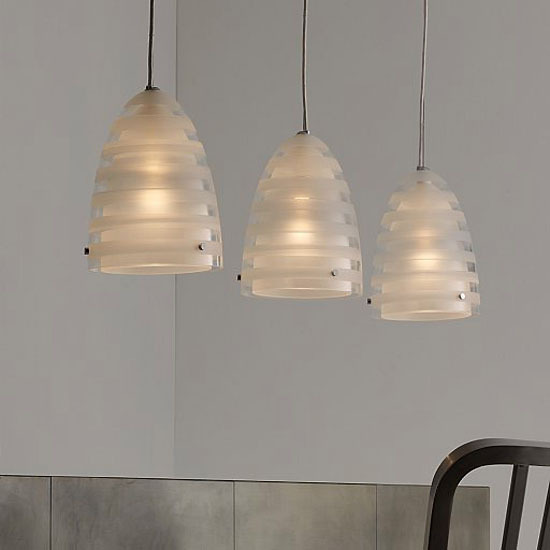 The Campbell pendant lamp designed by the talented designer Louise Campbell for Louis Poulsen. The inception of the Campbell Pendant was to captivate some of the purest impressions we have when we experience outdoor light. The most conspicuous contrast between natural and artificial light is that nature only has one light source, and we never look directly at it. Our perception of light is determined by the innumerable layers, which nature has created and which filter and reflect the light. 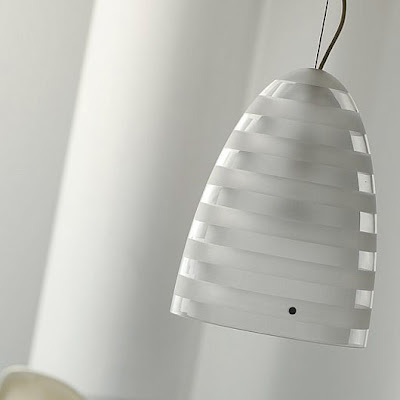 Based on these ideas the Campbell pendant consists of two equidistant shades. When light refracts through the shades, its direction changes. The frosted stripes enhance the unique sense of depth, while also alleviating glare form the light source. The Campbell pendant lamp is a suspended light with one stainless steel aircraft cable. The suspension length is 12'. Ceiling canopy is in white with a cord type: 3-conductor, 18 AWG white PVC power cord. 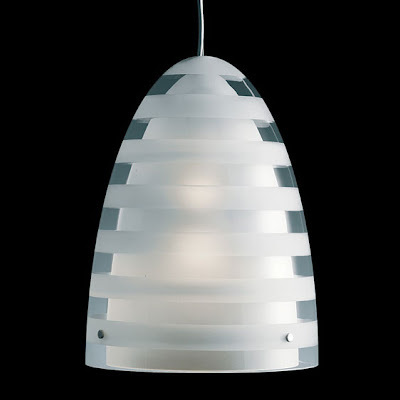 The pendant lamp's shade is a handblown clear glass with sandblasted stripes. The Campbell pendant lamp is available in two sizes.